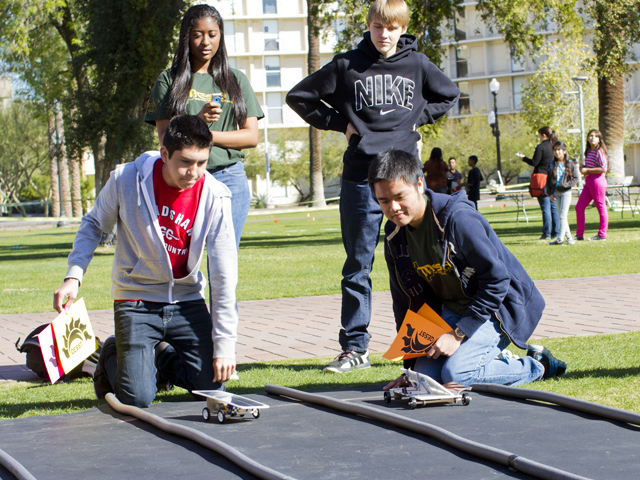 More than 200 students from 12 middle schools and two high schools recently participated in the annual MESA Day organized by Arizona State University’s Ira A. Fulton Schools of Engineering. 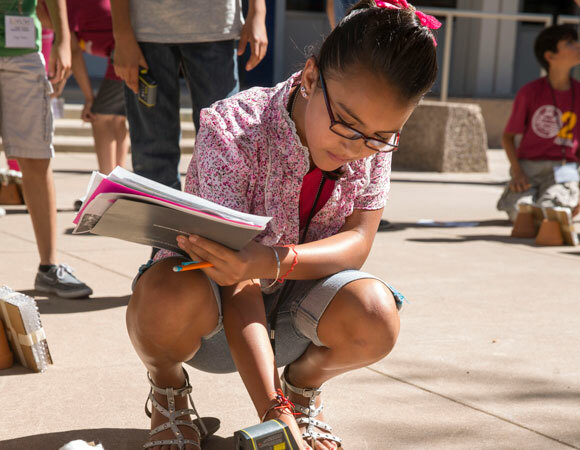 The MESA after-school program – the acronym stands for Mathematics, Engineering, Science Achievement – focuses on encouraging interest in those subjects among students from underserved communities. Arizona is one of several states that have developed its own version of the program. 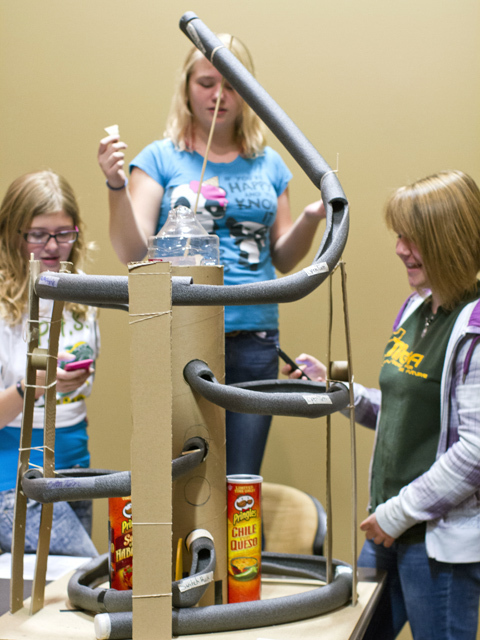 Students from sixth through12 grades came to ASU’s Tempe campus for the latest regional MESA Day to test what they’ve been learning in various projects during the past few months. The activities included games and competitions involving solar-energy technology, rainwater harvesting, prosthetic devices, rocketry and other applications of basic science and engineering. Tempe Vice Mayor Onnie Shekerjian attended the event to talk to students about the importance of technological innovation and to watch the MESA Day awards ceremony. MESA participation is growing locally, says Jan Snyder, an education outreach coordinator for ASU’s engineering schools. Three additional schools have joined recently and more are expected to follow in the near future, he says. 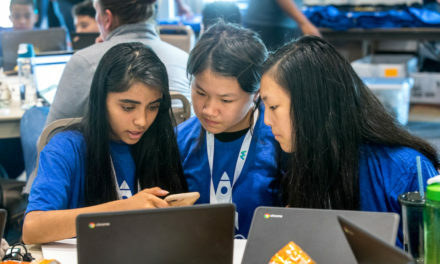 Most school teams go on to compete in the annual MESA state championship, which this year will be hosted by the University of Arizona in April. One of those motivated by MESA was Ryan Madler, a recent graduate of Bradshaw Mountain High School in Prescott Valley. In high school I didn’t have a clear idea of what I wanted to study in college. I had some ideas, of course, but I was unsure of what any of these fields of study I was thinking about would actually be like. I did think of becoming an engineer. My father is an engineer. From what I had seen of his work, engineering seemed like an interesting and rewarding career. But I didn’t know how I could determine if that career path would suit me. To complicate things, the enjoyment I had once gotten from math was beginning to wane – not a good sign for an aspiring engineer. Around that time, however, I joined two high school clubs – the Distributive Education Clubs of America (DECA), a business club, and the MESA club. MESA gave me an opportunity to work on projects that involved engineering in its most rudimentary form. 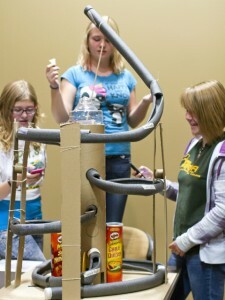 I joined a wind-turbine challenge project team and we built a small windmill that performed a variety of tasks. It turned out to be a complicated project. The variables and potential solutions involved were almost endless, but I think that’s when I began to become fascinated by engineering. I came to view engineering as a way to learn how to solve problems and challenges in unique ways, and to help improve the world. The wind-turbine project taught me about processes of designing and redesigning in ways similar to what real engineers do. Through MESA, I was also able to meet several engineering professors at Embry-Riddle Aeronautical University and Arizona State University. I got the opportunity to go the ASU campus in Tempe when my team competed in MESA Day activities. The visit to ASU was a great experience. Something about seeing the campus alive with so many students made it appeal to me more than other college campuses I had toured. 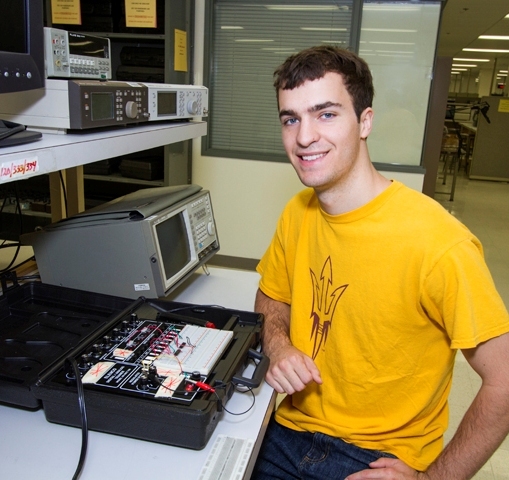 In the end, though, it was the MESA program that had a profound influence on my decision to choose to go to ASU to study electrical engineering. I’m in the second semester of my freshman year and I’m enjoying my engineering classes immensely.